David Bowie by Masayoshi Sukita for Sound & Vision. David Bowie. Died 10/01/2016. At 69, from cancer. After gifting the world his last album, Blackstar. 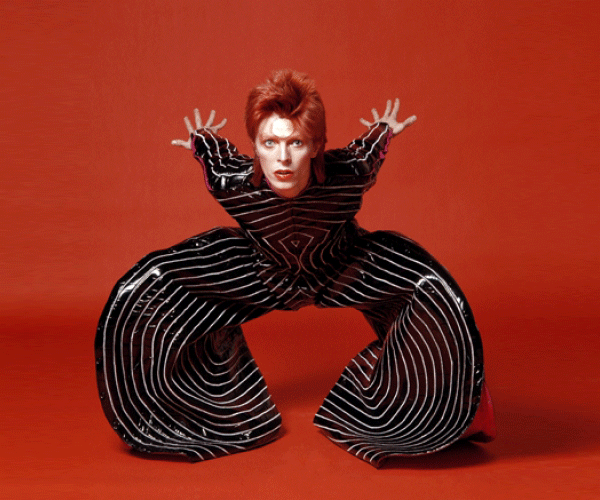 Bowie, the Picasso of music , immensely giving artist. All the media and music lovers are giving mass tributes to the artist. On Facebook, Twitter, Instagram, Bowiemians are sharing a song, a memory, a lyric, an image, some of the star dust left by the man on earth. But not today. Today, David Bowie died and it is an earthquake. He is a giant of music, one of the most influential, if not THE most influential music artist of modern age. It’s ok if the media talks about him. Let the youngsters know about him. Let the world be inspired by him. Let the individuals leave a star behind them, like he did, before fading away quietly, having given it all to the world. He was a hero. Not just for one day. My son now falls asleep every night to Space oddity. Daughter is more life on mars. How sweet ^^ ! I think they’re in safe hands!